The main issue that people have when magnetising their models is getting the polarity of the magnets wrong. There are a number of ways to help deal with this problem. This is one I saw on the internet a while ago, and seeing as I haven’t done any magnetising for a while I thought I would give it a go; I made a ‘polarity stick’. It is a cut down piece of sprue with a magnet glued on either end. Simply take your stack of magnets, glue sprue to one end. Let the glue dry and then without changing the orientation of the stack of magnets, glue the other end of the sprue to the other end. I then scribed the words ‘red’ into one end and ‘blue’ into the other end of the sprue and painted each end red and blue. Why red and blue? No idea, just vague memories of bar magnets at school being that colour. Painted, the stick is quick and easy to see which end is which, but paint also rubs off, that’s why I used a knife to cut the words into the sprue’s plastic. How do I use it? One colour always goes to one side of the joint, the other colour to the joint’s opposite side. In the case of the titans, I’ll be consistent with my choice across all my magnetised joints which will make sure the arms will be interchangeable. If it helps you to remember which way round I came up with some ‘logic’ to how the colours relate to the joints. Red is the colour associated with danger, so the red end of the polarity stick will always be towards the weapon. Blue and body both start with the letter ‘B’. So the blue end will always go towards the body side of the joint, simple easy way to remember. You could of course check a previously built magnetised model too. Over the years I have collected a bunch of different magnets for various different projects (what do you think the collective noun is? an attraction of magents??). The sizes I have available to me are 5x1mm, 4x1mm, 3x2mm. Unfortunately I do not know what grade they are, they could be anywhere between N35 to N52. I will be stacking magnets to make sure I have enough strength to hold the arms in place. This kind of stacking probably isn’t required for the stronger N52 grade magnets. The 5x1mm magnet is what the Warlord Titan kit is designed to use to magnetise the weapon options for swapping out when the additional weapons get released (by now the Plasma Annihilator Warlord is actually available). Now what I said earlier about the Reaver not being designed for magnets is not entirely true. The carapace weapon does have the same 5x1mm magnet recess designed into the mould. So the carapace was easy to magnetise. It also makes an excellent example of using the ‘polarity stick’. Load up a 5x1mm magnet onto each end of the stick. Put a spot of superglue onto the magnet on the blue end. Push the glued magnet into the recess with the stick. Watch out for glue squeezing out around the edge of the magnet and getting onto your polarity stick’s magnet. Also try to make sure you keep your magnet level in the recess. Now do the same with the red on of the stick and the bottom of the ML’s base. So Blue towards the body, red towards the weapon. Remember I said about trying to keep the magnet level, well I think I was a little out with mine, and now I have a small gap at the front. However once painted up with the carapace armour in place I do not think it will be noticeable. Why bother with the head? Well it’s one of the aspects of the Reaver’s looks that I do not like. So if different head options are ever released, I have the choice to swap the head if I want. I used a 3mm drill bit with my pin vice to drill a hole on the centre of the recess of the body piece (part no. A22), and into the centre of the dome of the neck piece (part no. C3). I chose to use a stack of magnets in each part. I cut a spacer out of plasticard to sit behind part A22 to allow the stack of magnets on the blue end of the PolarityStick™ to sit at the base of the recess. Some effort was required to get the magnets to sit nicely inside the neck, but they were soon glued in place. The spacer was glued in place and then the magnets, after which the head and body were fully assembled. The main reason for all this magnetising is to be able to swap the model’s weapon load outs between games. My plan for the Reaver’s weapons was to be able to swap between the different (and future*) gun arms, but also between the different close combat arms too. To do this I decided to place magnets between the gun and the upper arm at the elbow joint, and also between the upper arm and the body at the shoulder joint. *crikey when I started writing this up, they were just a ‘confirmed rumour’ but they’ll be up for pre-order soon, or probably a second Reaver box with different weapons. I partially assembled the laser blaster, to Reaver instruction’s step 38, but left off the armour plating (parts C42 & C43). I drilled pilot holes into the bottom of the upper arm (part C45), and the top of the laser blaster (part C38), using the tip of the nub as a centring location to drill those holes. The weapon was then enlarged with 5mm drill bit. Notice that the drill bit is mounted in a power drill here. I used the lowest torque setting and was really careful using the power tool – use common sense folks, it really is using a sledgehammer to crack a nut. The magnet would need to sit on something, I could have filled the cavity in the laser blaster with greenstuff, but decided to fill it up with a piece of sprue, because it would weigh less. I cut down a section of the Reaver’s sprue and placed it into the hole to mark it at the level of the top of the gun. I then cut the sprue shorter than this mark by slightly more than the thickness of my magnet. I then glued it in place. Once the glue had dried I placed a circle of greenstuff on top of the sprue section, and pressed the 5x1mm magnet into the greenstuff until it was flush with the top of the gun. Once cured I completed the gun by adding the armour plating. The gatling cannon followed a similar method. The cannon being assembled to instruction step 35 leaving off the top armour plate (no. C32). The armour plate was drilled in the same manner as the laser blaster to provide the magnet recess. Then bits of sprue filled up the cavity in the cannon before some greenstuff was used to seat the 5x1mm magnet in place (looks like I might have used 2 magnets, but I really can’t remember). With the guns done, time to move on to the upper arms (part C45). I removed the locating nub from the bottom of the plate, and enlarged the original pilot hole with a 4mm drill bit. I also drilled into quite deep with the final size drill bit. This was because I planned to stack a couple of magnets into the elbow joint. I put a small ball of greenstuff in the bottom of the hole and then glued the magnets in place (I think I stacked a 3x2mm magnet on top of a 4x1mm magnet). Before the glue set I pushed the arm down onto the table to make sure the magnets were flush with the plastic. Now you could leave it at that, and you’d have gun mounts that were interchangeable, but what if you wanted to swap out for a power/chain fist? In this case you have to magnetise at the shoulders instead of the elbows. I mentioned earlier that I was going to magnetise both locations to allow as much weapon choice as possible out of my single Reaver kit. I actually ended up doing each shoulder in slightly different ways. So there are two methods below. The shoulder assembly was glued together, as per instruction step 21. I then drilled a pilot hole into the centre of the shoulder recess, and enlarged it with a 3mm drill bit. As I was planning on sacking a 3x2mm on top of a 4x1mm magnet. I then enlarged the hole again with a 4mm bit, but only drilled far enough in to seat the larger diameter magnet, effectively drilling an ~1mm deep counter-bore. With the magnets in place in the shoulder assembly I could cut down the upper arm to sit nicely in the shoulder joint. I started by attaching the gun to the upper arm and shaving the top of the upper arm flat. I kept referencing back to the gun to make sure the top of the gun and the flattened arm top were parallel. I kept testing the upper arm in the shoulder joint as I cut away plastic to find just the amount to cut off so the arm fitted just right. Once I finished cutting down the arm I drilled a pilot hole in the centre of the flat top and opened it up to fit the magnets. Now I was intending using two 3x2mm magnets. When I went to test the joint with the magnets I found that I hadn’t drilled deep enough and that I had a magnet standing proud of the arm by ~1mm. I also couldn’t get both magnets back out. So I removed the top 3×2 magnet and replaced it with a 4x1mm magnet. To do this I had to cut away the sides of hole and after gluing the new magnet in place I smoothed off the arm joint with greenstuff. There was quite a bit of careful guess work involved in this process, and after all that careful work I went and screwed it up at the last step. Thankfully I managed to rescue it, but the next method is in my opinion better. I noticed that the hole in the top of the shoulder assembly that the armour plates fit into was 3mm in diameter, the same as some of my magnets. This time I drilled down from the top, through that hole with a 3mm drill bit. Then I positioned the upper arm in the shoulder assembly in the position I wanted to mount it. I held it all in place with blue tack and carefully drilled into the top of the upper arm using the 3mm drill bit through the hole drilled into the shoulder assembly. This meant that when the 3x2mm magnets are placed in both holes they line up perfectly. Now because I had used 4mm diameter magnets on the other side, I decided to place a 4mm diameter magnet in this side to allow both arms to be interchangeable – it wasn’t really necessary, but saves having to have left & right handed upper arms. All I did was open up the hole bore from below in the same manner as the previous shoulder, test fitting occasionally to ensure the right depth. I think my next magnetised Reaver will use this method, but will only use the 3x2mm magnets. Here are the results of the two methods, pretty much indistinguishable from one another, well, apart from the screw up ;). Method B on the left method A on the right in the image below. Finally, I flattened the top of the melee arm (part C16), put a pilot hole in the centre and opened that up to 3mm diameter to fit a stack of 3x2mm magnets in to the arm. To Power Fist or to Chain Fist? Or how about doing both? Yes, I magnetised the two power fist types so I could swap between them, and converted one to have a ‘chain fist’ mounted on the back of the hand. I mounted a magnet into the inside of the fist palm (part C20) with some greenstuff. I then let the greenstuff fully cure. A small amount of greenstuff is then placed in the opposite side of the fist. A magnet is placed on top of the previously greenstuffed magnet and the two halves of the fist squashed together. This makes sure that the magnets are perfectly aligned I found that it was a good idea to let the greenstuff cure for some time before pulling the two halves of the fist apart. Otherwise you can pull the magnet out of the soft greenstuff. Do the same to the other fist, and you will now be able to swap the open and closed grip fists over. The chainfist is simply a couple of chainswords that with some with some bodging were mounted onto the back of the closed grip power fist. They are old plastic Khorne Berzerker swords, that never made it past undercoating, hence the black paint. I’ve forgotten to take any pictures of the conversion steps. Armour detailing was shaved carefully off the back of the fist. Rear of the chainswords were trimmed down to fit the knuckles of the power fist. A small piece of plasticard was used to hold the swords in place where the hilts used to be. The knee armour plate was mounted on top of the swords and the underneath was filled with greentuff. The power cable was added on the lower side of the fist, pushed gentling into the greenstuff. With a little bit of greenstuff work and some plastic detailing off an old cut up backpack added. The upper side of the chainfist had some random greenstuff work added to make it look more detailed – think vents/exhausts/couplings. A skull was added to the front of the armour plate between the chain blades. Finally armour trim was greenstuffed to the upper and lower most edges of the fist’s armour to try and hide the seam on the finished painted up model. After all this work, the Reaver Titan model has grown on me. I’m liking it now and I can’t wait to get it on the table top.Here are some pictures of the different magnetised options available to my Reaver – sadly no armour plates on it yet though. You made it this far? Without skipping anything? You need an award! This post has ended up being a monster, I hope some one finds it of use, even if only as a seed for your own ideas. 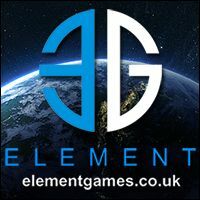 If you like what you’ve seen then please support the blog by spending your hobby cash at either Element Games or GoblinGaming as I belong to both of their affiliate schemes. So if you buy stuff via either of those links I get a small commission for directing you there – its not not much but helps keep the blog advert free, that sort of thing. This entry was posted in Adeptus Titanicus, Tutorials and tagged Adeptus Titanicus, magnetised, tutorial. Bookmark the permalink.